Texan Girl Talks: 16348739247328 things happened last week. A lot of stuff did go into last week though. I went to Texas and am just now recovering from my Mexican food coma. I probably ate at 7 different mexican food restaurants while at home. We did a multitude of other things that included visiting family/ friends, attending a wedding, and enjoying time being in our hometown. It doesn't sound like a lot, but 7 days was definitely not enough time to hang out with everyone. I got to see my family last week and it was heaven. You never realize how much you miss someone until you don't see them on a normal basis. My brother and I at the Shipwreck Grill in Bryan, TX. If you are ever in the small town of Bryan, Check this place out. It's one of the best places to get crawfish étouffée or oysters on the half-shell. At the reception, well kind of.. waiting for the bride and groom. Didn't have my phone for most of the wedding..
Has anyone ever been to Buc-ee's?! This is actually a gas station that has a country store in it. It's really kind of amazing. There are all kinds of things in here. They sell some of the best breakfast tacos i've ever had. How awesome is this?! This is definitely on our christmas list! 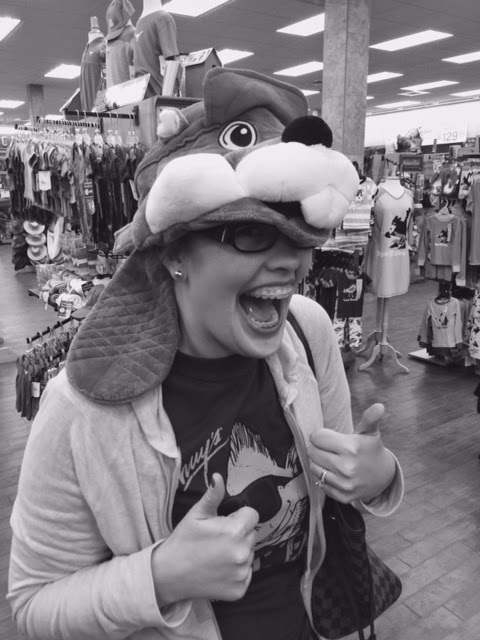 No trip is ever complete without a Buc-ee's hat picture. So if you don't already know this, my husband is obsessed with bears. He won't admit it, but he is. So every time I see a big bear, I ALWAYS make him take a picture! My brother is gonna kill me for this one. 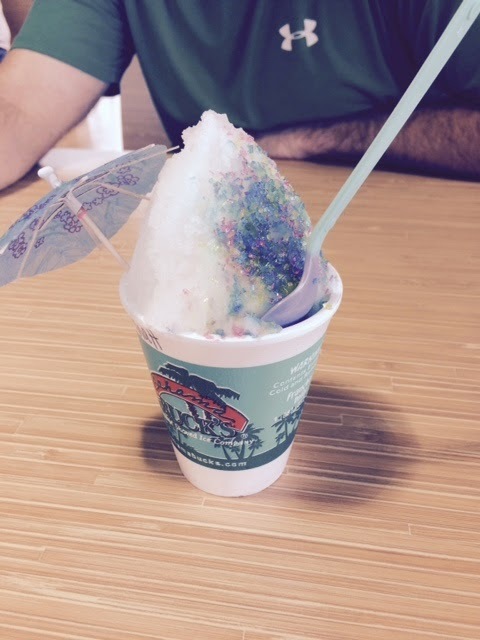 When you're away from home for awhile, new, awesome places decide to come like Bahama Bucks. It's a snow cone joint and an awesome one at that. They have at least 100 flavors. This is the smallest one they have and I still felt like it was too much. I definitely recommend the wedding cake and birthday cake flavors. AMAZING. Don't worry an umbrella is included in each snow cone. Last but not least, I got to see this guy, my BFF Dan. This is one of my longest friends I've ever had, we've known each other since 3rd grade. I don't keep up with many of my high school friends anymore, but he is definitely the exception. 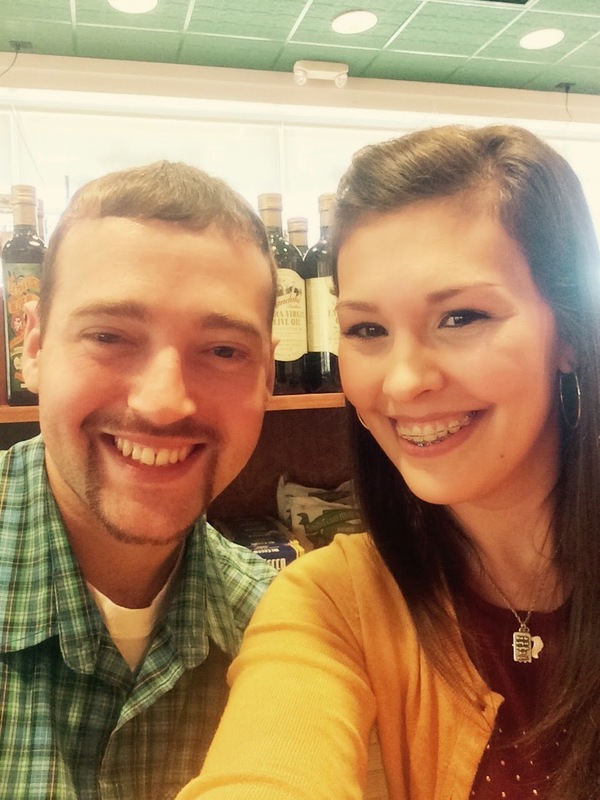 It meant the world to me to just see him for a couple hours for lunch. This was from the USO in Houston. I was SO thankful for this organization, they give military members and their spouses/family a place to relax in the airport for layovers and such, it was nice to get away from the hustle and bustle of everyone else for a bit. This was an incredible trip. I was so happy to see everyone and get to hangout. Now that the trip is over and we are back in Charleston, and have a lot to do to preparing for our upcoming move to the fabulous Los Angeles. Anybody have any vacation trips coming up?! Has anyone been to a Buc-ee's?